New for the 2019 Ford Ranger! Our Pre-Runner Bumper is a fully bolt-on unit and is a direct replacement for the factory unit. 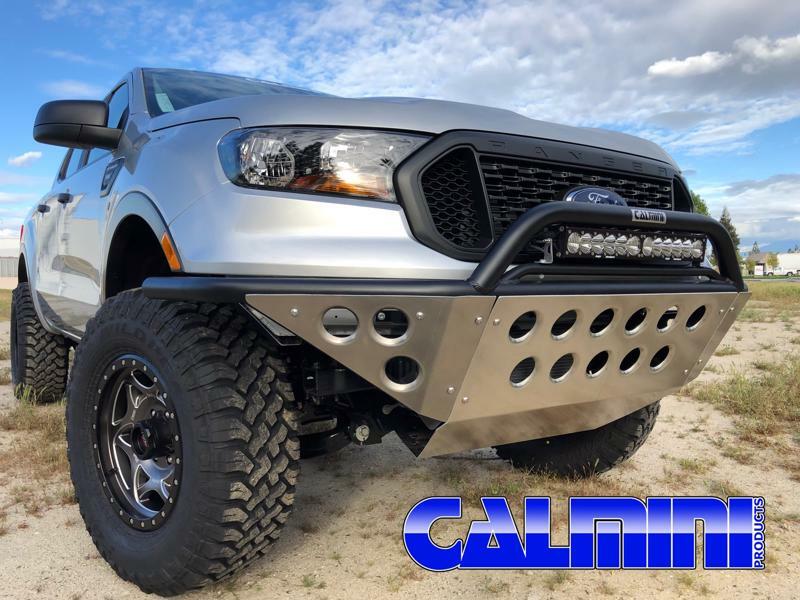 Our bumper features a rail for a center mounted LED Bar. This heavy duty bumper is built from 2" x .120" wall tubing for maximum strength and mounts directly to the factory mounting points. The 1/8" dimpled-died Aluminum skid plate is included with the bumper for additional front end protection. Bumper comes complete with all corresponding hardware. 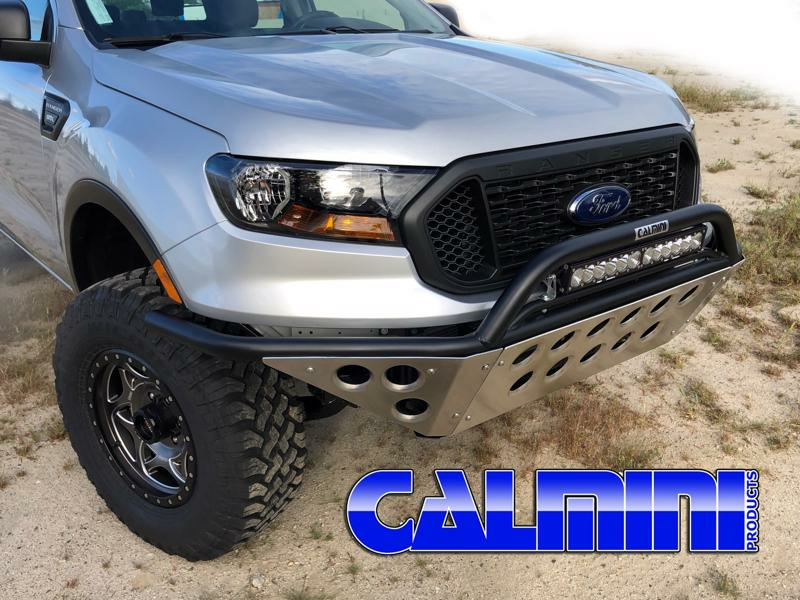 Bumper is sandblasted and fully powder coated for excellent corrosion resistance. The bumper is finished in semi-gloss black powder coat and can be ordered in bare steel as well. Part is too large for standard UPS shipping. Item will need to ship on a pallet and delivered via truck freight.